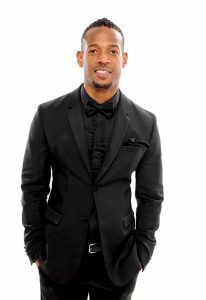 Wayans can next be seen starring in the NBC sitcom “Marlon,” loosely based on his life. “Marlon” is a family comedy centered around a loving (but immature) father committed to co-parenting his two kids with his very-together ex-wife, played by Essence Atkins. He last starred in FIFTY SHADES OF BLACK, which he also wrote and executive-produced, in January 2016. Directed by Michael Tiddes, the film co-starred Mike Epps and Kali Hawk. In 2015, he hosted the hit NBC show “I Can Do That!,” a comedy/variety series where six celebrities are asked to put on an entertainment show with skills they didn’t even know they had. On the small screen, Wayans starred in and created the TBS hit comedy competition series “Funniest Wins.” In 2014, he embarked on a national comedy tour with his brothers Keenan, Damon and Shawn Wayans. This marked the first standup tour for the four Wayans Brothers in many years. Additionally, Wayans has appeared on several popular television programs, including Fox’s “In Living Color,” Adult Swim’s “Childrens Hospital,” BET’s “Second Generation Wayans,” and The WB’s “The Wayans Bros.”, which was the highest rated comedy on The WB.